Order in the next 7 hours 37 minutes for delivery on Monday, April 29. 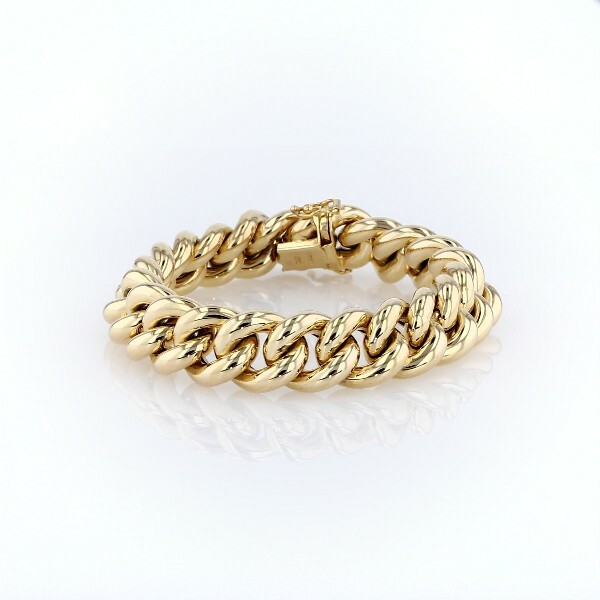 Go for the gold with this oversized curb chain bracelet. Crafted with hollow chain links in 14k Italian yellow gold, this bracelet is a timeless statement piece.